This December, it’s time to show off all the hard work you’ve put in at the gym throughout the year! 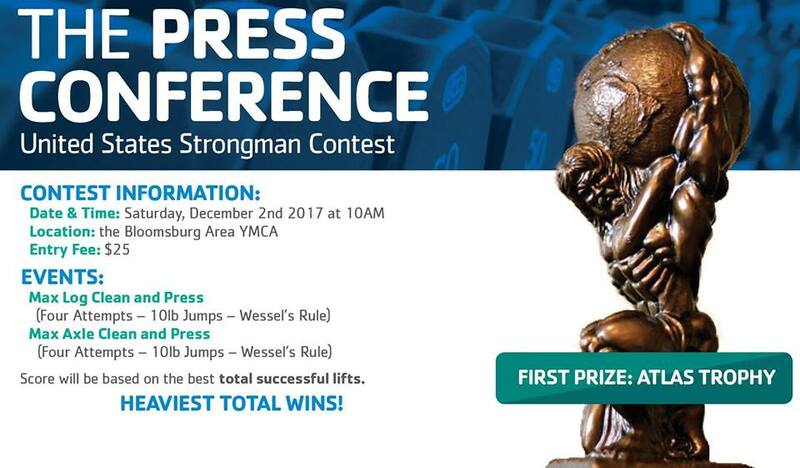 Join us at the Bloomsburg Area YMCA in a strongman competition Saturday, December 2nd! Take part in the Max Log and Max Axle Clean and Press events in one of six weight classes for men, women, and masters.